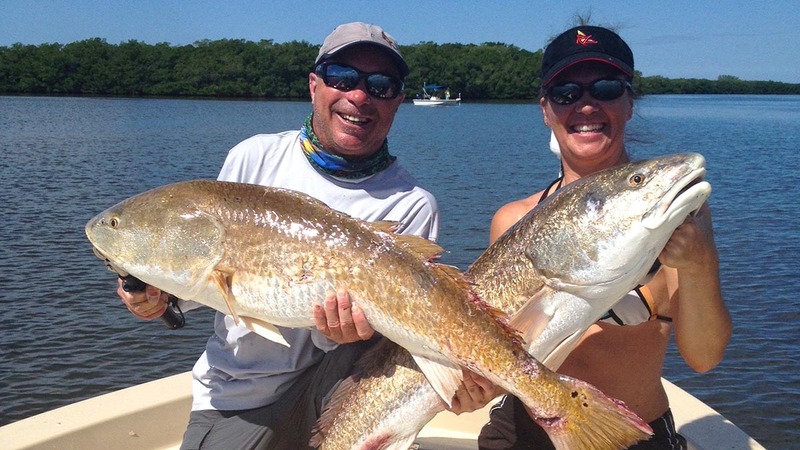 There are so many variables that can affect any given day on an inshore tidal flat. Wind, tide, water temperature, cloud cover, and boat traffic are just a few that come immediately to mind. Some days, Mother Nature has a way of opening up the vault and making it all too easy and other days it seems impossible to even get a bite. I guess the point is that when we’re trying to figure out the fish in an area where the water doesn’t get any deeper than three feet and includes a tide swing of maybe a foot, consistency can be a challenge. There are however a few constants that I have learned we can rely on to help us find fish day in and day out in this dynamic and ever changing environment. The presence of mullet is always important and birds like osprey working from up above or herons stalking the flat are also great signs. I have however really begun to pay attention to all the rays that I have been seeing working all over the flats. It seems that they’re some of the first predators to work onto a flat when the tide begins to rise. At first, all I thought was how glad I was to be on my poling platform and not wading as some of these looked downright intimidating. It was also at this point that I began to notice fish like redfish hanging out around all the dust that they seemed to kick up. You know, one of those instances where you had to do a double take after realizing that you just saw two stud size fish hanging with a ray and by the time you figured out what you just saw they’d already seen the boat and moved to the next zip code. 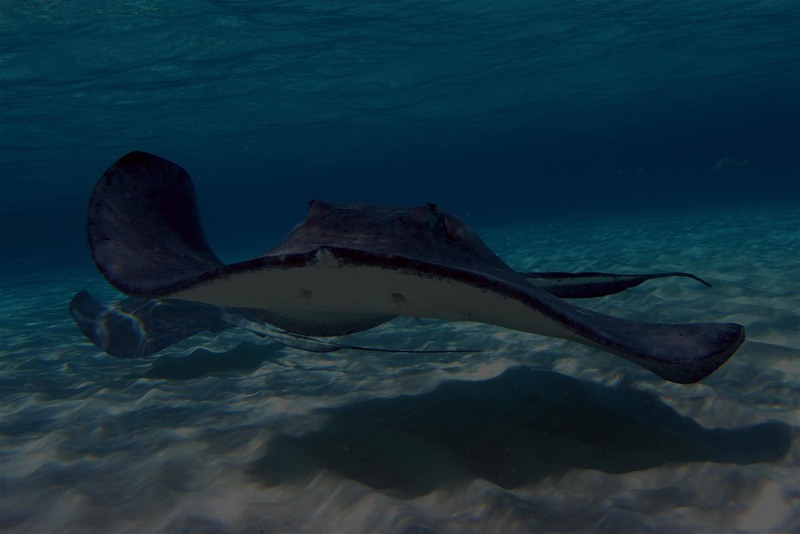 I ‘m by no means an expert on rays, but I’ve come to realize that there are three species I see most, I believe they’re cow nose, spotted eagle, and the infamous sting ray, you know the one with the barbed tail that makes us all wade with Kevlar wading boots and do the stingray shuffle. Well anyway, this is the species that I seem to notice all the redfish hanging around. Just like us, the reds don’t want to work any harder for a meal than necessary, so they like to swim around and behind the rays waiting for them to kick up an easy meal like a small mud or swimming crab. Even though I seem to see more small rays, say less than a foot wide, generally, I seem to see fish hanging around larger rays that are at least two feet in diameter. And believe me, from what I’ve seen from the poling platform, there’s no shortage of these larger rays anywhere I seem to go. In many ways, it’s the visual nature of the experience that makes fishing inshore tidal flats so unique and also so challenging. It’s important to keep in mind that if you see fish on the flats there’s a real good chance they saw you first. So, it doesn’t hurt to stay alert and try to take advantage of some of the clues that Mother Nature can provide. I have also seen snook not too far off from rays and it’s probably no coincidence that we get reports throughout the year of cobia hanging around rays. All in all, it’s a pattern that just keeps coming up and if you’re like me, you can use all the help you can get. So next time you see a big ray that’s within casting distance kicking up some mud, put a cast behind it. I’ll bet that if there’s a red on its tail it’s going to be looking for a meal.